* the state - constitution, legislative process, public duties, colonies, building activities, naval forces, penal regulations, religion, politics and inter-state affairs. 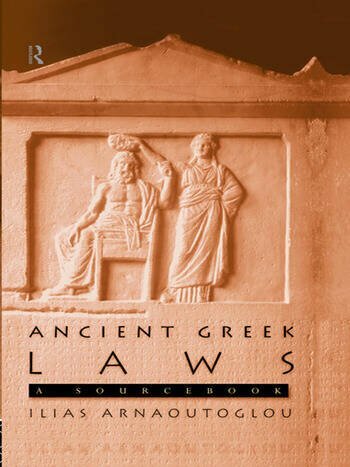 Dr Arnaoutoglou explores the significance of legislation in ancient Greece, the differences and similarities between ancient Greek legislation and legislators and their modern counterparts and also provides fresh translations of the legal documents themselves. Ilias Arnaoutoglou graduated from the School of Law, Aristotelian University of Thessaloniki, Greece and completed a PhD in Classics at the University of Glasgow. He is currently Assistant Editor for the Lexicon of Greek Personal Names.